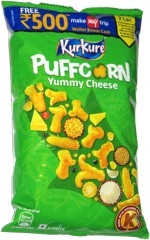 Taste test: These are decent chips with a good crunch, lots of flavor and a hot aftertaste. 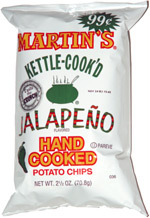 However, it's not a jalapeno flavor, but rather some other kind of pepper. So they were a disappointment for this jalapeno fan. Smell test: I couldn't figure out what these smell like. It's sort of a hot and spicy smell, but it definitely isn't a jalapeno smell.